Last month, Blizzard opened up its great big warchest, and let loose just about every asset necessary for modders to recreate the last game with WarCraft in the title that I had any interest in ever playing: Warcraft III. The community had begged Blizzard for the assets for years, so they could go about recreating Warcraft 3 in Star Craft 2’s engine. Warcraft: Armies of Azeroth is one such remake. It’s been in development for some time – but the newly released assets have given it a bigger dose of that nostalgic flavour. With Blizzard so very focused on other projects like Overwatch and Heroes of the Storm, it’s unlikely we’ll see anything official bearing the Warcraft name that isn’t tied to their still ludicrously popular MMO – so it’s nice to see this all in an RTS setting. Here’s the latest bit of video from Armies of Azeroth, and it brings back a whole lot of nostalgia. I remember very clearly how excited I was for Warcraft III’s release. I’d organised for a mate to go to the shops to grab a copy for me (pre-orders and deliveries were much rarer then than they are now) and the very night before the game was on shelves my PC got hit by lightning, turning it in to little more than a door stop. It took an insurance claim and a month before a wood-chopping peasant replied with a “Yes, milord?“ to my incessant clicking. Yes, I had an unopened copy of the game for a whole month before I could do anything with it. 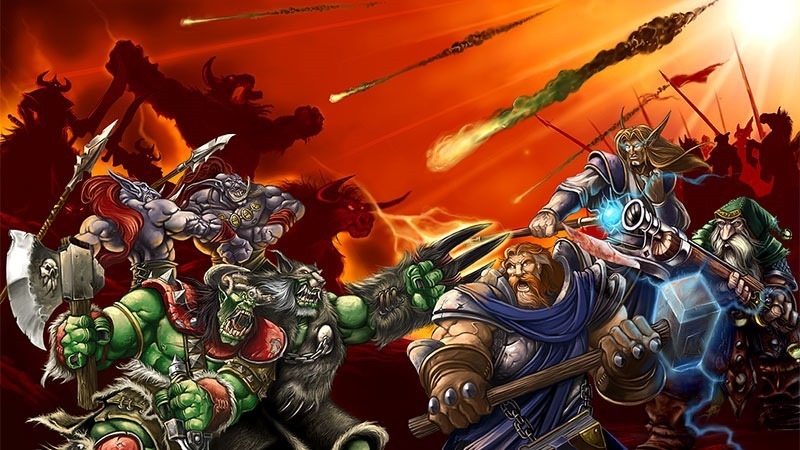 Warcraft 3, while popular in its own right, is most famous for spawning (but not originating!) the mod that kicked off the MOBA craze; Defence of the Ancients…or DOTA if you prefer.